All-New Extras Include Featurettes, Commentaries, Deleted Scenes and Gag Reel! 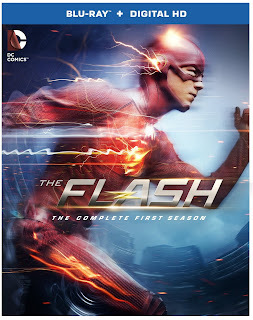 Get the Blu-ray™ & DVD September 22, 2015: Just in time for its second season, catch up with the #1 show on The CW as Warner Bros. Home Entertainment and DC Entertainment release The Flash: The Complete First Season on Blu-ray and DVD on September 22, 2015.The Flash delivered the most-watched series premiere in The CW's history, and original episodes averaged 6 million viewers weekly throughout the season. 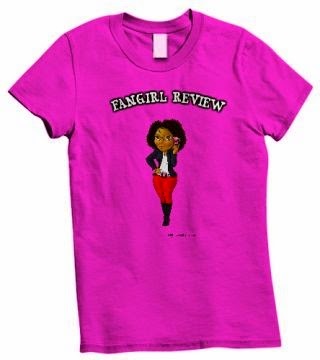 Fans that purchase the set will be able to watch all 23 electrifying episodes, plus three hours of extra content, including episode commentaries, featurettes, deleted scenes and a gag reel. The Flash: The Complete First Season is priced to own at $59.98 SRP for the DVD and $60.10 SRP for the Blu-ray. Central City forensic investigator Barry Allen is, always charming and – as a result of a scientific experiment gone awry – now the fastest man alive! He’s The Flash, zigzagging through the action-packed new series from the creative team behind Arrow and based on the supersonic DC Comics character. With his life shadowed by his mother’s murder and his father wrongly convicted of the crime, Barry finds that his new found power of super speed grants him the ability to move through Central City like an unseen guardian angel. Barry quickly discovers he’s not the only “metahuman” created by the explosive disaster – and not everyone is using their new powers for good. Now, to protect the innocent, Barry and his close friends who know his secret, race to combat evildoers in one astonishing adventure after another. The Flash stars Grant Gustin (Arrow, Glee), Candice Patton (The Game), Rick Cosnett (The Vampire Diaries), Danielle Panabaker (Justified, Necessary Roughness), Carlos Valdes (Arrow), with Tom Cavanagh (Ed, The Following), and Jesse L. Martin (Law & Order). Based on the characters from DC Comics, The Flash is produced by Bonanza Productions Inc. in association with Berlanti Productions and Warner Bros. Television, with executive producers Greg Berlanti (Arrow, Brothers & Sisters, Everwood, The Mysteries of Laura),Andrew Kreisberg (Arrow, Fringe)Game of Thrones, The X-Files Sarah Schechter (Arrow, The Mysteries of Laura, Pan) and David Nutter (Game of Thrones, The X-Files).